​If you want to reduce your risk of getting exposed to workplace hazards then you need to invest in proper protective equipment – one of which is the steel toe boot. It is always necessary to implement a safety program when it comes to protecting your feet. It is because foot-related injuries are among the most common injuries in the workplace today. Such injuries actually result in disability, lost wages, and significant morbidity. With that in mind, you need a proper shoe to give your feet the protection it needs. However, you need to be really cautious when making your choice out of the many steel toe boots today and wear one correctly so you won’t end up having more foot problems instead. Why Choose a Steel Toe Boot? As a worker, you would want to give more than ample protection for your feet. Especially if your job requires you to walk and move around demanding and tough environments and deal with heavy machinery, you really need a footwear that can handle such exposures to harsh elements well. That’s what a steel toe boot can provide. Also called a safety boot, a steel-toe shoe or boot serves as a durable footwear, which features a protective reinforcement found at the toe. Such reinforcement can offer full protection to your feet, especially from compression and falling objects. This footwear also has a midsole plate, which is a huge help in protecting you from punctures. There are indeed many ways that a steel toe boot can protect you, especially your feet. By wearing a high-quality one, you can prevent the most common workplace injuries – foot injuries. With the steel toe caps integrated into the boot, you know that your feet will receive full protection from any mishap. Furthermore, most of this type of footwear is designed using tough and sturdy materials. 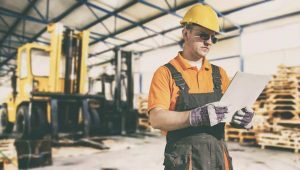 Whether you are a man or a woman, it can protect you completely, especially if you are handling dangerous items, chemicals, and machinery at work. 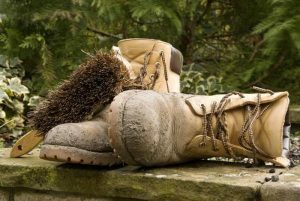 Can Steel Toe Boots Cause Foot Problems? and Can it Trigger Foot Problems? Since you are wearing a safety shoe, expect it to have steel plates integrated into the instep area, as well as a steel toe. Such shoes are not naturally flexible, which is the main reason why some complained about experiencing chafing. If you buy an incorrectly-sized shoe, then there is a great possibility for the steel toe and plates to begin cutting into your feet, resulting in chafing. Such can trigger utmost discomfort. Sometimes, the discomfort can even reach that point when you will have a hard time standing on your feet for a long time. In comparison to other types of shoes, safety or steel toe boots are actually heavier. It is mainly because the latter uses thicker materials as well as heavy steel. That said, expect your legs to feel sore when you are wearing the shoe. The soreness will most likely be more noticeable if you wear it for a long period of time each day. At the end of your work shift, for instance, you may notice your legs getting sore because of the increased weight of the shoe you are carrying. The good news is that you can prevent the feeling of soreness by strengthening your legs through proper exercise. 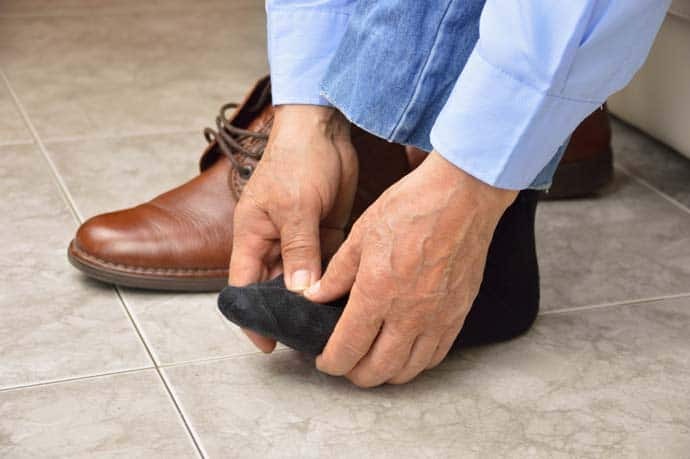 If you wear a steel toe shoe, which is poor-fitting, specifically too tight, then there is a great risk that you will experience blisters, calluses, corns, and neuromas. Those are the usual foot problems that those with too tight shoes develop over time. This can make you feel uncomfortable, especially if you need to stay on your feet for most hours of your work shift. That said, you have to spend time researching which among the steel toe shoes in your list is not too tight. Your goal should be to find a shoe with enough space that you can easily wiggle your toes in. Avoid believing that the shoe is like the others that tend to stretch out eventually when you are already wearing it. It is because steel toe boots do not stretch that easily. To be safe, just invest in a new steel toe boot, which lets you comfortably and easily wiggle your toes so you won’t end up experiencing foot problems. Just like when you are wearing a steel toe boot, which is too tight, there is also a tendency for you to experience certain foot problems if you choose one, which is too lose. If you have wide feet, then there is a chance that you would want to buy a long shoe to compensate for the problem. However, take note that it’s a wrong move. It is because in case your feet flop around the hard side of the footwear, then it is greatly possible for you to experience chafing. Such can be brought by the constant rubbing of your feet to the hard part of the footwear. If you have loose shoes, though, you can still fix it. All it takes is to put a soft insert either on the insoles or the heel section. However, if you did not buy a steel toe boot yet, then the ultimate solution to avoid the foot problems caused by loose shoes is to ensure that you get one with the right fit. If you are wondering about the answer to the question, “can steel toe boots cause foot problems?”, then be aware that the answer could be yes but only if you don’t spend time finding the right fit for you. Proper fit matters a lot, in this case, as it can help avoid the risk of you experiencing utmost pain and discomfort once you wear the safety shoe.